Over 770 moose are killed every year in Alaska. Half of those hit are cows that leave orphans calves to fend for themselves. 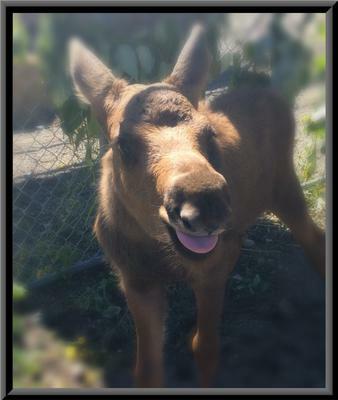 Moose Mamas is a nonprofit organization that created the Orphan Moose Calf Program. Moose Mamas rescues, rears and releases moose calves back into the wild. Moose Mamas has the capacity to save over 30 calves per year at the Moose Mamas facility in Willow, AK. Our caregivers are a combined group of biologists, veternarians, nurses, pre-vet students, and Alaskan Mamas. Our organization focuses on rebuilding Alaska’s moose population which has deminished in half over the last decade. Together we can make a difference in protecting one of Alaska’s greatest natural resources. Be sure to check out our FaceBook Page called "Alaska Moose Mamas".